If SODELPA members are confused about the party’s stand on Fijian as the common name, we can’t blame them. Two of their top officials appear to be at loggerheads on what the party’s official position is. Former party leader and current Opposition leader Ro Teimumu Kepa has made it public in Parliament that she had embraced Fijian as the common name after initially opposing it. After earlier warming to Fijian as a common name in a bid to enhance SODELPA’s broad appeal base by reaching out to non-iTaukei, SODELPA leader Sitiveni appears to have moved in the opposite direction. He even said that he was the first to suggest a common name. He suggested Fiji Islander. In a recent address he gave at a University of Fiji event for law students, he clearly outlined why he had three reservations about Fijian as a common identity. He claims that people were not consulted. He is against a Fijian holding dual citizenship because “it creates the dubious situation about a person’s patriotic loyalty and attachment to Fiji”. Thirdly, he claims, it ignores the group rights and self determination of indigenous iTaukei and Rotuman people. He does not believe that equal citizenry and common identity will create a greater sense of national unity. He suggests that the only time we can all be called Fijians is when we are overseas and we are representing Fiji. But once we arrive back home, we call each other native or indigenous Fijians, Indo-Fijians, Chinese-Fijians, European or part-European Fijians, Banabans and Rotumans. This is the most ridiculous idea that we have heard – to operate using two identities. It makes a mockery of this whole issue. It means when we don the Fijian jersey and represent the country, we are called Fijians. Once we take off the jersey, we revert back to our ethnic grouping. If we are good enough to be called Fijians overseas and on the sports field, we are good enough to be all called Fijians at home. How can we promote national unity and patriotism when we divide people and put them in separate groups? No one can take away our cultural identity and heritage. We have the freedom to practise our culture in our own cultural setting. But on issues of national interests, we leave aside our differences and strive for what is best for everyone. The common name helps us to do that at any forum. We have been carrying on nicely in the last four years and generally people are happy with how things have gone so far. The only people kicking up a fuss about the common name are politicians like Mr Rabuka. He made it clear that he was invited to address the students on a subject of his choice and he wasn’t there to make a statement for SODELPA. In an environment of academic freedom his statement may be justified. But some SODELPA members said they were concerned that he did not state the official party position. Ro Teimumu, however, has taken a step further in expanding her position on the subject. She gave her blessings in her capacity as the Marama Bale na Roko Tui Dreketi (Paramount of Rewan and Burebasaga) for the descendants of the Girmitiyas to be drafted into the Tui Noco’s clan and called “luvedra na Ratu”. It was seen as a significant move to promote racial tolerance and strengthen race relations in the country. She was running neck and neck with Mr Rabuka in last week’s Fiji Sun-Razor opinion poll, indicating that she could recapture her 2014 popularity. 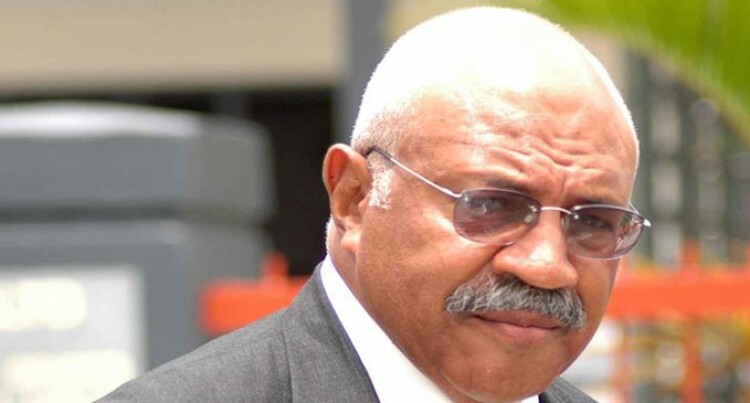 It’s now up to SODELPA supporters to decide whether they go with her or Mr Rabuka. Fijian or Fiji Islander. FijiFirst’s victory in the 2014 General Election was evidence that an overwhelming majority of our people endorsed Fijian as the common name. Mr Rabuka should take heed.